CAIRO — Tests showed that e.coli bacteria were behind the death of two British tourists in a hotel in Egypt's Red Sea resort of Hurghada, the country's chief prosecutor said on Wednesday. 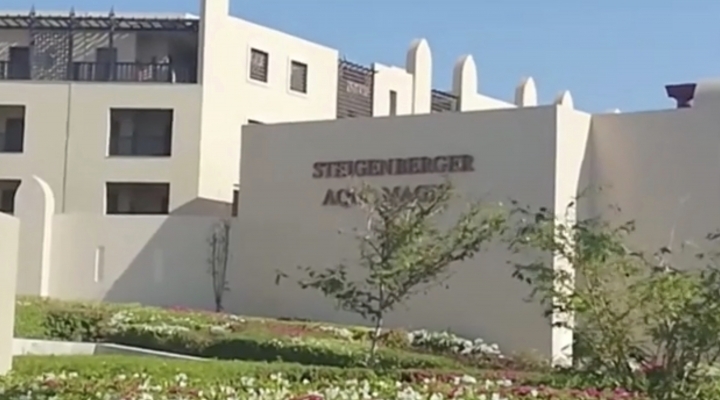 The statement by Prosecutor Nabil Sadek came a week after travel company Thomas Cook said that there was a "high level of e.coli and staphylococcus bacteria" at the Steigenberger Aqua Magic Hotel where John and Susan Cooper died Aug. 21 after falling ill in their room in the five-star hotel. He said that tests also showed no links between the couples' death and the spraying of their neighboring room with lambda-cyhalothrin 5 per cent. The insecticide is safe to use, according to the statement. The couple's bodies showed "no criminal violence" and other tests showed no toxic or harmful gas emissions or leaks in their room and tests on air and water at the hotel found nothing unusual, the statement said. There was not an immediate comment from the Steigenberger Aqua Magic Hotel. Thomas Cook meanwhile said it needs time for their own experts to review the prosecutor's statement. The Cooper couple's deaths last week prompted tour operator Thomas Cook to evacuate its 301 customers from the hotel as a "precautionary measure."